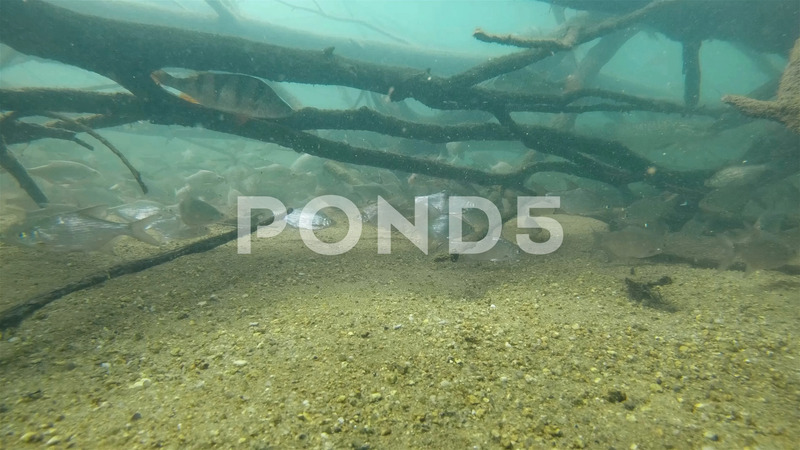 Description: Underwater footage of large School Of Fish Abramis bjoerkna and perch. Group of white fishes swimming in the flooded trees. Lake habitat.